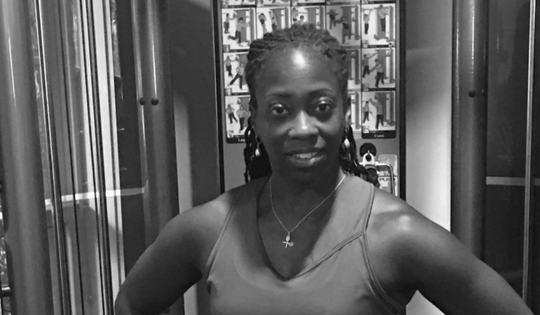 Hi, my name is Tamm Neal and I’ve been a fitness/sports performance coach for almost 20 years and I’ve enjoyed every minute of it. Being a former collegiate tennis player and now in the 40 plus club, I have taken my passion for sport and exercise and used it to empower other athletes 40 and over looking to maintain sport performance and reduce rate of sports-related injuries. I understand that participating in sport at any age can be challenging, let alone the changes that can occur with our bodies as we age. With my experience, I can help you make healthy, realistic, sustainable lifestyle choices without the fads, quick fixes and gimmicks - to help you improve your health for now, and for the long-term. Athletes ages 40 and over train with Tamm Neal Training because we care about your success in and out of sport. I bring 110% effort and expert coaching/teaching knowledge. I believe in working hard with a purpose, being persistent, consistent, having fun, and appreciating the process.